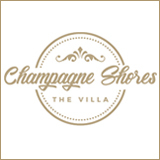 Update 2018: Fish Shack & Grill is closed. 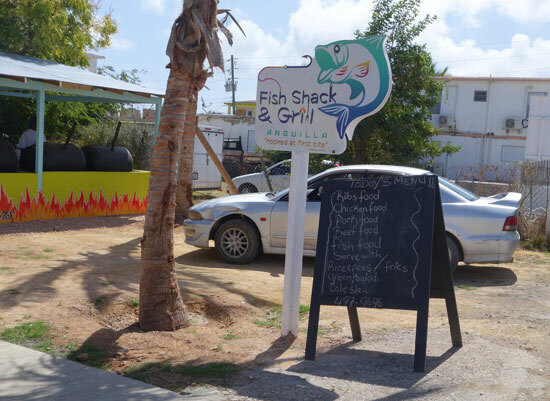 New to Anguilla's abundant selection of delicious and varying dining options is the convenient and satisfying Fish Shack & Grill. It’s not to be lumped in to the existing category of BBQ or roadside just because it serves ribs and chicken from a grill. This place is different. 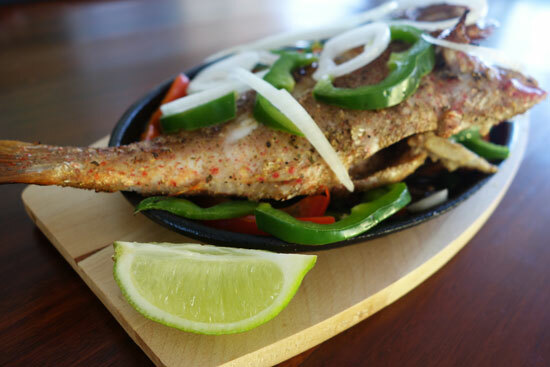 It is fair to say that Fish Shack & Grill is defined by its grills. They are the Cadillac SUV of local grills. Four black, stout-looking grills line the southwestern front side of Fish Shack & Grill. 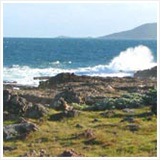 They are statuesque and visible from Blowing Point Road, the parking area and as you walk into the restaurant. These grills are workhorses, smoking and grilling all day with the pork grill cooking pork shoulders, butts and hams anywhere from 6 to 8 hours. The kitchen and grill is visible from the dining area inside, too. 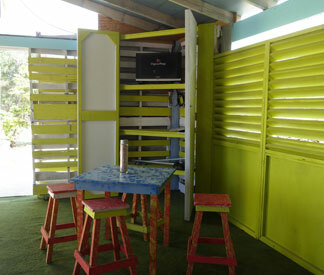 Covered and open-air, Fish Shack & Grill is Caribbean casual and vibrantly painted. The walls are also slatted allowing for a gentle breeze to pass through. There’s a small bar counter and a TV in the corner of the dining area. 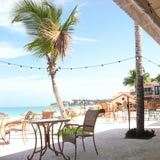 The majority of the tables are in the covered part of the restaurant, but you can also dine outside. 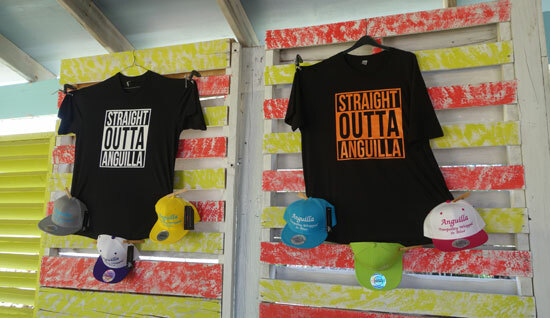 A selection of hip Anguilla souvenirs are also on display. 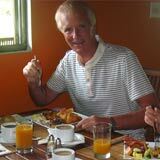 While inside I met owner, Clyde Richardson (husband of Vida, owner of da'Vida). 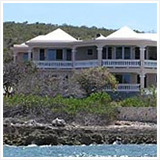 Clyde is Anguillian and was raised in the Virgin Islands and served in the Coast Guard where he did a lot of grilling. 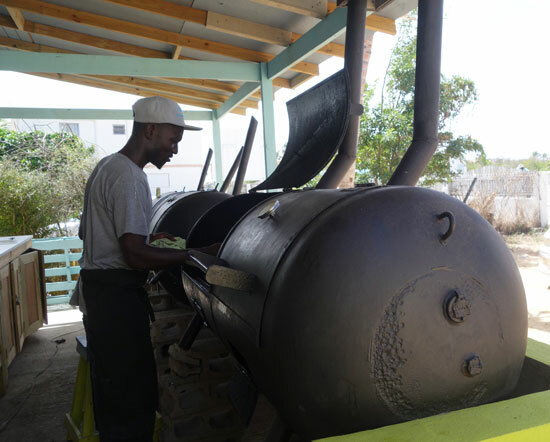 His love for perfectly grilled meat led him to have the spectacular Fish Shack grills custom built right in his own back yard in Anguilla. He is thoughtful and passionate about what he’s doing. A high school friend with a similar passion created Fish Shack & Grill's three signature Fish Shack sauces. 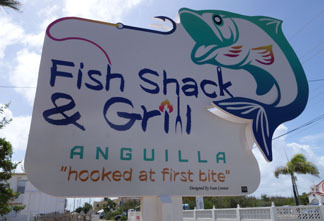 Likewise, Clyde’s staff at the Fish Shack & Grill are clearly behind what it is they are bringing to Anguilla. 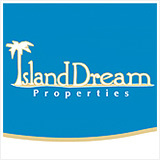 They know they have a good and unique product and they are proud to share it with you. It’s a nice collaboration of passions. 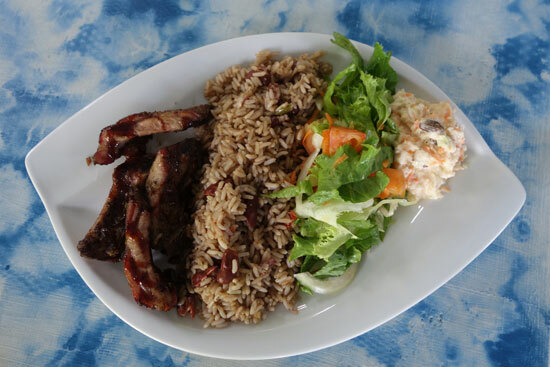 Each meat (see photo to the left) can be ordered on its own or with “food”, which is rice and peas or fries, coleslaw and green salad. 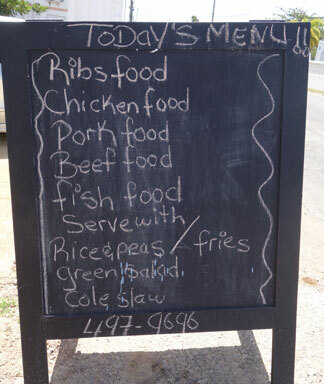 Note: In Anguilla, “food” can be equated to “meal”. My own perception of the use of that term is, for example, if you order “chicken with food”, it means you get the chicken order with sides, rounding things out to a full meal. My order that day allowed me to taste the fish, chicken, beef ribs, rice and peas, the green salad and each one of the homemade Fish Shack & Grill sauces: jerk, ginger and Fish Shack blend. When I was there at lunch they only had a few kingfish head pieces left and not the variety they can have, but I still wanted to try it. It was pretty good. The fried head was very solid, not so much light and flaky. That density varies by fish, though. 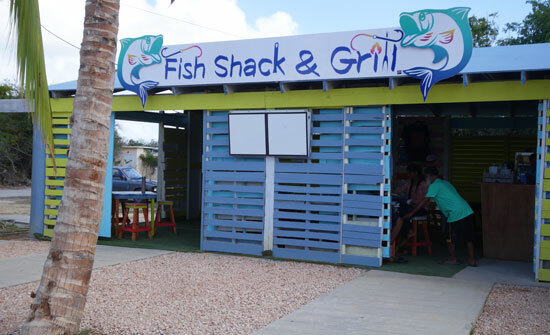 Fish Shack & Grill will serve what they can get that’s local and fresh. 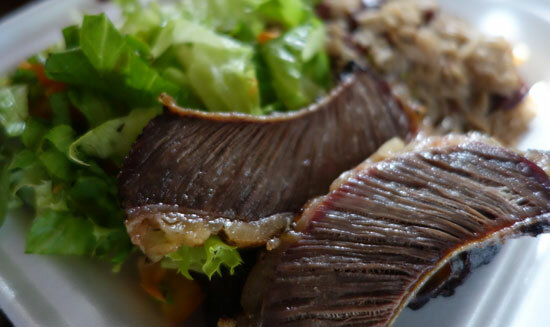 Types of fish potentially on the menu is what is locally called, “potfish”. 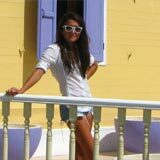 Potfish varieties include old wife (aka triggerfish), kingfish, bufflehead (aka parrotfish), snapper, butterfish and hind. You can have your fish fried, steamed or grilled. I then had some chicken. What sets it apart is that fact that it is as tender as chicken can be. 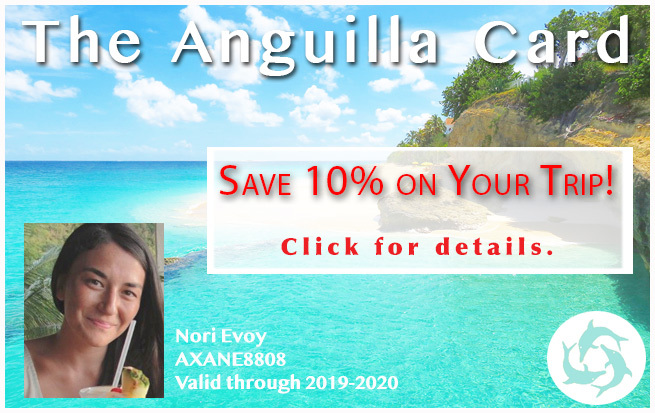 You’ll find lots of tasty chicken on the island with positives and negatives all at the same time… some may taste good but it’s a little tough, others may be flavorful but it’s a little dry. 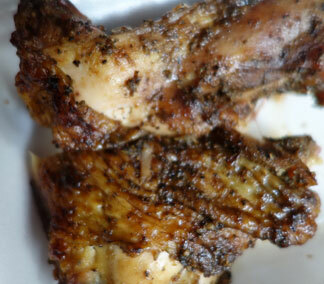 Fish Shack & Grill's chicken encompasses all positives: moist, flavorful and tender. The beef ribs are served off of the bone and in thin slices. 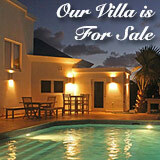 The flavor is unmatched in Anguilla so far. It reminds more of the flavor of home, in the southern United States. 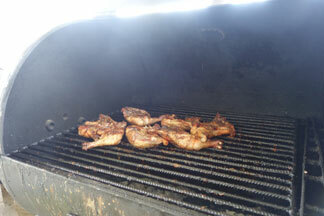 Smoked and grilled beef ribs served with rice and beans makes a good combination along with the fresh green salad. The beef ribs are highly recommended! Now for the three sauces (jerk, ginger and the blend)! Which is the best? It really comes down to a flavor preference. They look similar (each is dark brown), but they each have a distinct taste. If I had to pick one to go on everything, I’d go with the Fish Shack blend. The jerk sauce is pleasant but lacks true jerk flavor. The ginger sauce is a winner yet on the sweeter side. The Fish Shack blend was a just-right blend of both flavors. And, it's excellent on everything. 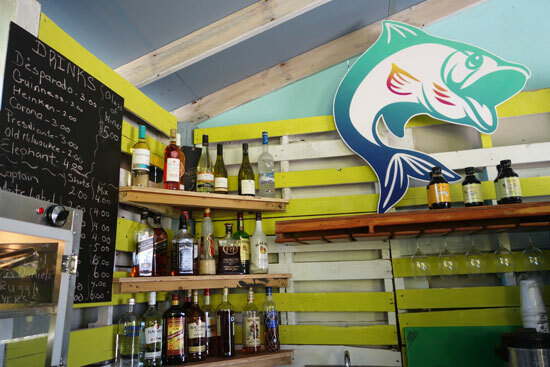 A big congratulations to Clyde and the team at Fish Shack & Grill on bringing unique flavors to Anguilla. 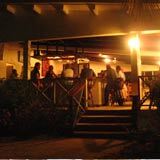 The welcome is warm and the grilled food is delicious at Fish Shack & Grill! 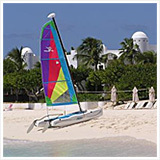 Stay tuned to our Anguilla events webpage for Fish Shack & Grill's weekly happy hours and other special happenings. 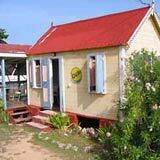 Directions: Fish Shack & Grill is easily found on the Blowing Point Road, on the eastern side of the road. 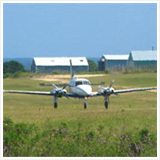 It’s across the street from a church and not far from the gas station closest to the ferry. Parking is in front and across the street. 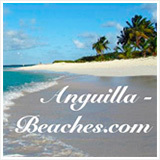 Remember that driving in Anguilla is on the left if you park across the street - look right first!